SAFETY HARBOR, FLORIDA: Andrés Millán has a lot going on! 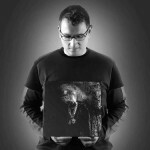 From his home base in Bogotá, Colombia, Millán serves as the director for both Diffusion Magazine – the most popular sound engineering website in Latin America – and Boutique Pro Audio – a high-end pro audio representation and distribution firm with service in Colombia and neighboring countries. He is the Chair for Colombia’s section of the Audio Engineering Society, and, by dint of dedication and long hours, Millán manages to maintain an active freelance business recording, mixing, and live sound for classical, jazz, rock and popular music. Millán is an avid user of Metric Halo interfaces, plug-ins, and SpectraFoo analysis software, and Boutique Pro Audio distributes Metric Halo products in Colombia. 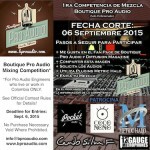 BOGOTA, COLOMBIA: Boutique Pro Audio - Metric Halo's Premier Dealer for Colombia - Proudly Announces its 1st MIXING COMPETITION! Prizes: There are more than $3000 in prizes! Please read the OFFICIAL CONTEST RULES for full details and instructions! SYDNEY, AUSTRALIA: Originally released by the New Zealand rapper Savage in 2005 as his first solo single, Swing started out big and has only gotten bigger. Shortly after its release, “Swing” peaked at #1 on the New Zealand singles chart. In 2008, its U.S. release was accompanied by versions featuring Soulja Boy and Pitbull, and the song inspired covers by the bands Miss May I and Drop Dead, Gorgeous. 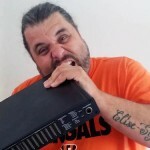 But the story doesn’t end there: Australian producer Joel Fletcher remixed the song in 2013, and that version surpassed the original’s stature in Australia, reaching way up to #2 down under. Australia’s largest dance label, Ministry of Sound, hired pro audio mercenary Klaus Hill to freshen up Fletcher’s remix for release on its compilation album, The Annual 2014. That version of “Swing” achieved 4x-platinum sales in Australia and won the 2015 Best Dance Record of the Year award from Australia’s APRA/AMCOS professional society, extending Savage’s original genius into a full decade of excited buzz! 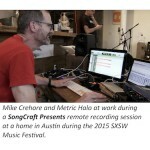 For its latest incarnation, Hill used a Metric Halo 2882 interface to mix the vocal and to perform stem mastering for “Swing”. 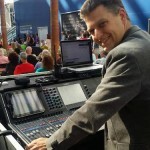 SAFETY HARBOR, FLORIDA: Jody Elff is a multitalented audio professional with over 25 years of deep and diverse experiences in venues of almost every shape, size, and quality. He cut his teeth in the late 80s and early 90s in Boston, and then after moving back to the New York area, working front-of-house for leading-edge jazz acts like The New York Voices and Diana Krall. In the late 1990s, he earned a privileged spot with New York’s avant garde guru Laurie Anderson, serving as the lead engineer on her concert tours, the designer for her computer programs, and the recording and mix engineer for her acclaimed album, Laurie Anderson, Live At Town Hall, New York City, September 19-20, 2001. From there, he developed another long-lasting engagement with Bang On a Can, the visionary contemporary classical music organization that has revolutionized the relationship between popular and classical music. One thing leads to another, and Elff signed up to work front-of-house for Yo-Yo Ma and the Silk Road Ensemble. He later recorded the group’s Grammy nominated Off the Map and is currently in the midst of recording the group’s newest work. Other high-profile clients include Ethel, Tan Dun, Paul Winter, Hothouse Flowers, and Anderson’s late husband, Lou Reed. 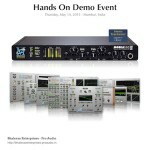 MUMBAI, INDIA: Metric Halo dealer Bhalerao Enterprises - Pro Audio is hosting a hands-on demo event, featuring the Metric Halo ULN-2 +DSP w/ 1 Jensen Transformer interface and the Metric Halo Production Bundle, on Thursday, May 14, 2015 in Mumbai, India! 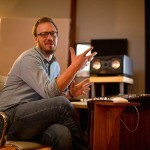 JOHANNESBURG, SOUTH AFRICA: Howard Audio is the public face of musician and all-around Renaissance man Adam Howard, who is among South Africa’s most sought-after composers, producers, arrangers, audio engineers, and sound designers. Trained at London’s Guildhall School of Music and Drama, Howard was the principal trumpet player for the Johannesburg Philharmonic Orchestra before devoting all of his time to his business. His advertising work has earned him Clio and Silver Loerie Awards, and his client list includes Volkswagen, Toyota, Discovery, and Mercedes-Benz, among many others. His work with South Africa’s top artists runs the spectrum from performing musician to producer, and everything in between. Howard regularly conducts the Johannesburg Festival Orchestra, serves as the musical director for avant-garde artist William Kentridge, orchestrated music for the film White Lion (2010), and is the founding musical director of the Johannesburg Big Band. 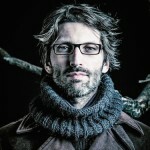 In short, Adam Howard is multi-talented and driven to contribute those talents across a huge range of projects. SAFETY HARBOR, FLORIDA: “For me, nothing is more exciting than working on music,” says composer and multi-instrumentalist Stefano Lentini. “It’s a privilege, a magical job. Composing, working with musicians, recording – it’s all exciting.” Based in his native Italy, Lentini is a composer for film and TV who is perhaps best known for his collaboration with Chinese director Wong Kar Wai on the Oscar-nominated feature The Grandmaster. His music for the film, Stabat Mater, plays a pivotal role, and Lentini – though an affable collaborator – is proud of having successfully handled every aspect of its production, from the composition and arranging to the recording and mixing. Lentini is also known for challenging himself with new genres and sounds to suit the feel of a particular film. “I don’t like music standards in soundtracks and I’m not interested in repeating genres,” he explained. “For every project, I seek a new dimension, a new musical universe.” His latest work is for Nicola Campiotti’s new documentary, Sarà Un Paese, which Lentini recorded and mixed using a pair of Metric Halo LIO-8 converters and a host of Metric Halo plug-ins. 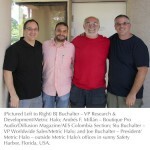 SAFETY HARBOR, FLORIDA: Metric Halo, maker of high-end professional audio interfaces, plug-ins, and sound analysis software, has appointed Benjamin Pro Audio as its distributor in South Africa. 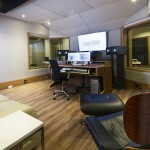 Based in the South African capital of Pretoria, Benjamin Pro Audio specializes high-end equipment for studios, acoustic consultation, and acoustic design. It will handle Metric Halo’s entire product line, from its flagship eight-channel ULN-8 preamp/converter to its Production Bundle of great sounding plug-ins… and everything in between. “Benjamin Pro Audio’s extensive knowledge of the gear they sell for use in the studio and on location, as well as their commitment to finding the right solutions for their customers, will serve Metric Halo well,” said Stu Buchalter, Metric Halo’s vice president of worldwide sales.